Sini Eräjää is a Finn based in Brussels and is one of the EPN’s coordinators. 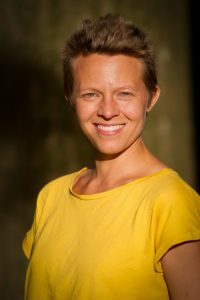 She’s worked on advocacy, policy and campaigning in environmental NGOs in Finland, Russia and Brussels for the last 10 years. While she can’t stop thinking about climate change, she has a passion for forests and has worked on topics ranging from biodiversity policies of Finnish forest companies to EU bioenergy policies. Her favorite bit of the Global Paper Vision is where it all starts from: reducing consumption. 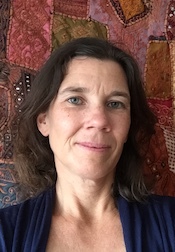 Peg Putt lives in Tasmania, Australia and works on EPN’s Forest and Climate Project. 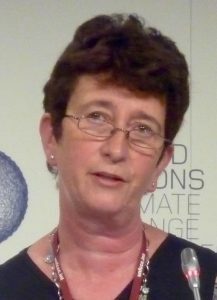 She was CEO of Markets For Change (2011-2018), has campaigned 35 years for forests, and is on the Tasmanian Honour Roll of Women for Service to the Environment. She was a Greens Party MP from 1993-2008 and Leader for 10 years. Peg now works internationally on forests and climate. She was a defendant in the infamous but unsuccessful case brought by Gunns Ltd against leading Tasmanian environmentalists during their failed attempt to build a huge pulp mill there. When not campaigning for forests she plays with her young grandson. She loves that Global Paper Vision urges that endangered forests and high conservation value forests not be logged. Sergio Baffoni lives between Berlin and Rome, and from there he is coordinating the campaign to protect Indonesian rain-forests, run by the Environmental Paper Network together with around 50 national and international organisations. He has worked from for Greenpeace as researcher and forest campaign coordinator, taking part in field expeditions and investigations on illegal logging in Africa, Amazon, Papua New Guinea and Indonesia. He helped to establish Terra! a new grassroots organisation in Italy, and created and still manages the forest portal http://www.rainforestnews.org. Merel van der Mark is based in the Netherlands. She coordinates EPN’s Pulp Finance working group, with the aim of making investors aware of the risks of investing in the pulp and paper industry, and aware of the need to adopt strong policies for these kind of investments. She lived several years in the Brazilian Amazon, campaigning for local and international NGOs, among others for Greenpeace, to protect the rainforest and its people. She has also worked for BankTrack as Forest Campaigner and on the ForestsandFinance.org project. Her favourite thing about the Global Paper Vision is that it has been translated into clear guidelines for financial institutions, in the “Green Paper, Red Lines” document. 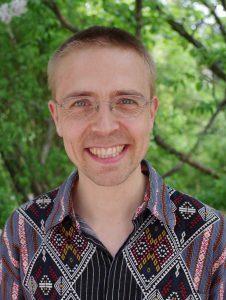 Otto Miettinen lives in Finland where he has been active in the forest movement since 1995, doing campaign and nature inventory work for Luonto-Liitto (Finnish Nature League) and Friends of the Earth. He has been following Finnish pulp and paper sector expansion globally for two decades, challenging destructive Finnish-Indonesian industrial collaboration, and in the process has made many friends among Indonesian NGOs. Besides trying to save the world and old-growth forests in particular, Otto has an academic career in biology. His favorite thing about the Global Paper Vision is that it urges you to think big. 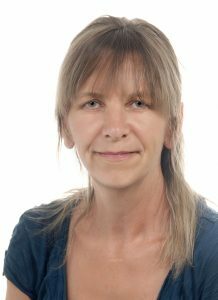 Monika Nolle is based in Germany and is on the EPN’s steering committee. She has worked on environmental, forest and human rights issues since 1987, when she founded ARA together with about 25 students. Global education and campaigns for fair, reduced and sustainable consumption/production are main fields of her activities. She is one of the initiators of the German paper network “Papierwende”. When she’s not working for ARA or steering the EPN, she hikes through the forests with her dog, reads, cooks, enjoys life with her big family and friends. Her favourite thing about our Global Paper Vision is that this manifesto with 140 supporting NGOs shows that we are a strong global network with a lot of energy to reform the paper world. 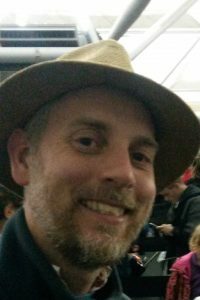 Richard Wainwright is based in England and is on the EPN’s steering committee. He has worked on environmental and human rights issues since 2000. He is the communications manager for Fern, an organisation that works to ensure human rights and forest-related issues are part of EU policy making. When he’s not working for the Fern or steering the EPN, he reads, writes, travels, parents and enjoys the world. His favourite thing about our Global Paper Vision is the vast number of signatories, showing that a wide variety of disparate organisations all agree on where the paper industry should be going. 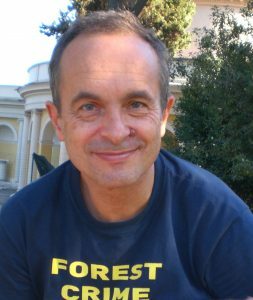 Peter Gerhardt is based in Germany and is on the steering committee. He has been an activist and campaigner since 1996 with focus on international social and environmental issues. 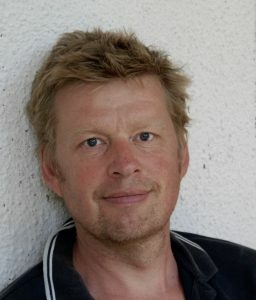 Peter conducted successful campaigns that linked transnational corporations like Procter&Gamble, IKEA, Aracruz or Asia Pulp and Paper to environmental destruction. He is the director of denkhausbremen, an organisation that works to ensure a fair distribution of the global resources. When he is not working or steering the EPN he likes to survive in that lovely chaos created by family and friends. His favourite thing about the Global Paper Vision is that the Vision is challenging wasteful paper consumption. Cecilia Alcoreza leads the Sustainable Paper and Packaging work in WWF’s Global Forest Practice. She provides leadership and strategic orientation to WWF’s and partners to improve sustainability with respect to pulp, paper and packaging on responsible sourcing, transparency and beyond responsible forest management practices. 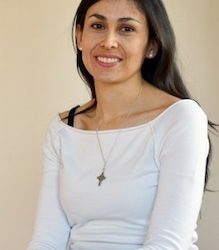 She has worked as Forest Programme Manager at WWF Chile, as regional coordinator for WWF’s New Generation Plantations platform, and also Coordinator of WWF’s Pulp & Paper Southern Alliance working closely with WWF offices in Brazil, Colombia, and partner organizations in Argentina and Uruguay. Before WWF, Cecilia applied her forest engineering background to a number of corporate, municipal and consulting roles in natural resource management, particularly in the forestry and mining sectors in Chile and Bolivia. She has worked with indigenous groups, USAID and IFC/World Bank projects, and environmental management systems. WORO SUPARTINAH has spent most of her working life with NGOs where she mostly works on issues of forest governance. She graduated in Environment and Development, from Reading University, UK in 2012. 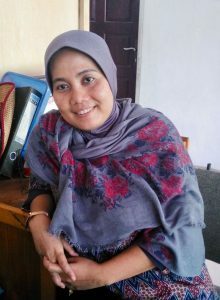 She continues to serve in improving Indonesian forest governance through activities in JIKALAHARI (The Network of Riau’s Forest based in Pekanbaru, Riau, Indonesia) where she has acted as Coordinator since April 2015. As she works with Jikalahari she deals with issues of peat management, community forestry, forest fires, corruption in forestry sector, and the need for law enforcement in the forestry sector. Her favorite part of the Global Paper Vision is that the vision tries to capture and call for a complete and holistic approach for responsible paper production and consumption. Mandy Haggith is based in Scotland and is a former EPN co-ordinator. 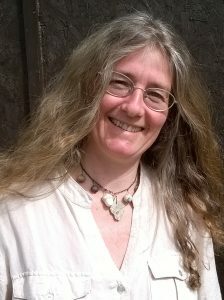 A writer and activist, she has two decades of campaign experience in support of people in forests, working freelance with organisations including CIFOR and Taiga Rescue Network. In 2006 she did a global journey to find out where all the paper we use comes from, resulting in the book Paper Trails: From Trees to Trash – The True Cost of Paper. She also writes poetry and novels, and teaches creative writing. Her favourite thing about our Global Paper Vision is that it starts with the goal to ‘reduce global paper consumption’.